Corruption is a major political and economic issue in India. The stakes, value, frequency, and costs of corruption have become exceptionally high in modern India. This is partly because some of the tenets of the free-market mechanism are implemented without the necessary underlying institutional conditions for an efficient and fair functioning of the market mechanism. This paper brings forth the relevance of the insights of new institutional economics to the functioning of the Indian economy. 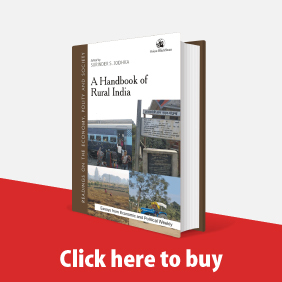 Cooperatives as organisational arrangements of collective economic activity can break up interlocked capital, labour and output markets in rural areas and alleviate poverty. The recent parallel law on cooperatives provides an opportunity to take a fresh look at this issue. 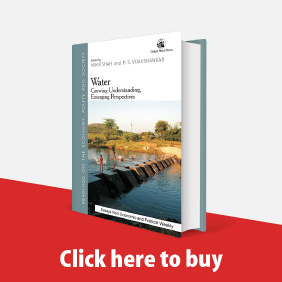 Some basic concepts are discussed while comparing different types of economic organisation, with a few empirical examples to bring out the conditions under which cooperative arrangements can generate economic surplus and alleviate poverty. An interesting feature of the simple cooperatives we discuss is that perhaps they benefit only the poor and not those who are better off and have access to mainstream credit and markets. ﻿Foreign Direct Investment in China A New Perspective Selling China: Foreign Direct Investment during the Reform Era by Yasheng Huang, Cambridge University Press, New York, 2002. The agricultural sectors in the European Union countries and the US are provided with large amounts of subsidies by governments. The subsidies causes excess supply of food products in these countries, which makes producers to dump it into developing economies by cutting prices below long-run marginal costs. This note shows that high tariffs can be used to convert the additional revenues realised by the foreign producers through dumping into tariff revenue of the Indian government. The tariff revenue can be utilised to increase investment in Indian agricultural sector to improve productivity. This paper brings out the factors that determine micro level firm level productivity in the context of a developing economy that had undertaken policy reforms towards a freer market. It econometrically tests a few hypotheses on the basis of firm level panel data for a set of Indian industries. One of the strong results of the paper is that firm level outward orientation of exports and imports contributes significantly and positively to firm level productivity. This finding supports one of the propositions of the new growth theory that developing economies benefit significantly from free trade with developed economies through free flow of new ideas and technologies and externalities. The import substitution policies in India, directly and indirectly, were responsible for 'islands of competitiveness' such as the software industry and also the general non-competitiveness of a large number of industries. They created certain supply side conditions that facilitated the birth of software industry as a by-product. Free trade with technologically advanced economies, especially with the US, from the initial stages of its birth provided scope for realisation of technological and informational externalities. The main lesson we can draw from the dynamics of this industry is that a combination of supply side policy support with trade-openness contributes to the creation and technological maturity of hi-tech industries in developing economies. 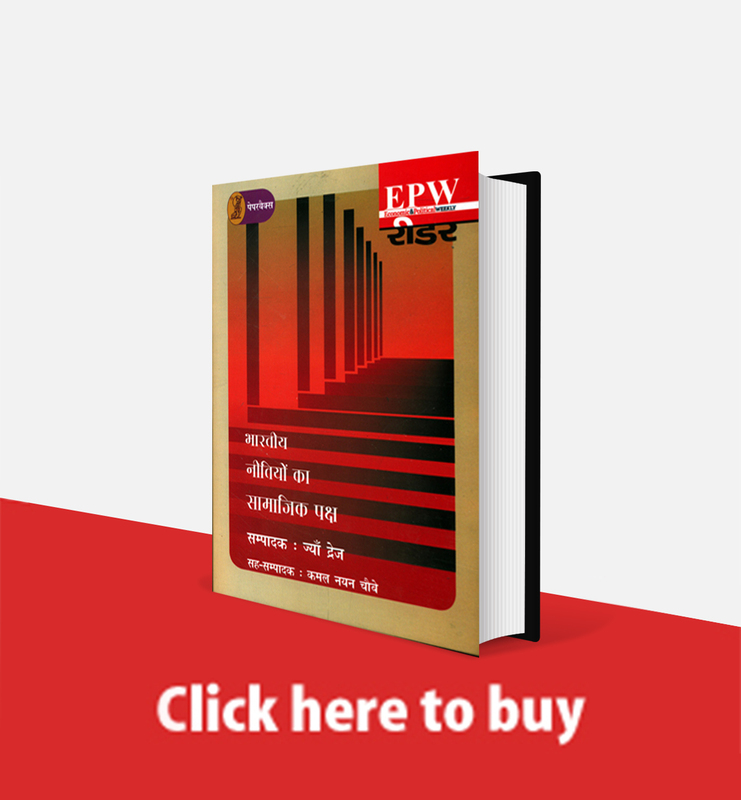 ﻿Pankaj Ghemawat Murali Patibandla The authors examine three successful export industries diamond cutting and polishing, garments and software - in order, to determine the effects of the economic reforms undertaken in 1991 and discuss further reforms that still need to he made. Analysing each industry's recent performance and future prospects, they find that the reforms have enhanced India's competitiveness in labourand skill-intensive industries; reduced the dependence of competitive industries on inefficient domestic suppliers and infrastructure; and enhanced domestic competitive conditions. Nonetheless, they find causes for concern about each industry's ability to sustain growth, pointing up the need to continue to extend and deepen the reform process. 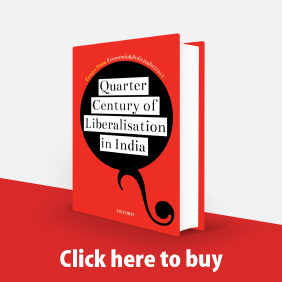 ﻿Institutional Failures Lessons for India Murali Patibandla Ramkanta Prusty We argue in this paper that the underlying factor behind the east Asian financial crisis is institutional failure in the context of financial sector liberalisation. Mature free market economies function on the basis of institutions that minimise informational imperfections and transaction costs and facilitate a high degree of transparency and accountability of government regulatory agents. When the institutional conditions fail to hold or are incomplete it results in adverse selection and moral hazard behaviour under principal and agency relations. These institutional failures are very much relevant to the Indian financial markets in the present context. ﻿learn. In conclusion, let me summarise the main thrust of my response. In political economy, if not in economic theory, simple-minded deductions can be highly vacuous, and if combined with ideological certitudes, they can also misdirect and unduly polarise debate. Deductions and polemics are no substitute for careful empirical work. Our conceptual work must mesh with the real world. ﻿In the absence of necessary institutional conditions, market reforms in developing economies cause rent seeking and inequitable distribution of income. This, in turn, could stun economic growth and also thwart the emergence of the right institutions. It is important for government policy not only to minimise the short run costs of institutional failures but also to set the right initial conditions for the evolution of institutions in the right direction. 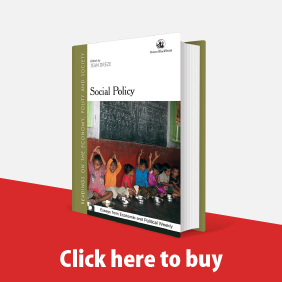 This paper illustrates some of the costs of institutional failures and the policy implications in the present Indian context. ﻿Domestic Prices and World Prices Murali Patibandla PRABHAT PATNAIK (1996) uses the neoclassical trade model of price-taking small country assumption to show how protection of the manufacturing sector will be welfare superior to free trade, contrary to the free trade policy implications of the neo- classicalists. My answer to this paper is "let domestic prices be equated to (or approach) world prices in the present". I derive my arguments by contending some of the special assumptions made by Patnaik in his model and also by showing how the protection of the organised manufacturing sector in practice has been counter to Patnaik's idea of increasing output, employment and surplus for government investment through import protection. I do not contend the infant industry argument for import protection but question the validity of arguing for import protection of the organised manufactured sector in the present juncture. ﻿For developing economies, technological change and micro-level efficiency is as important as capital accumulation as a source of long-term economic growth. International trade is an important source of incentives in generating both intentional and by-product technological change by increasing aggregate economic activity (market size) and competitive conditions. In the present context, selective policy intervention on the production side may provide a cutting edge in realising dynamic gains through trade.